Home Features Performance of Balochistan Government: Good or Bad? Performance of Balochistan Government: Good or Bad? 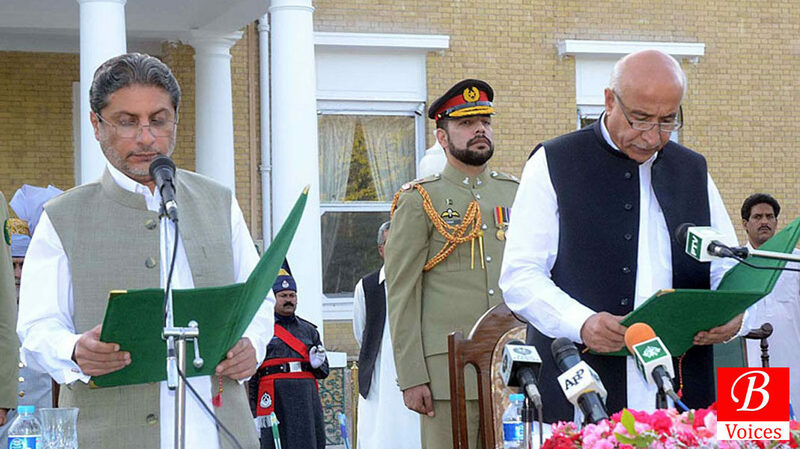 In June 2013, for the first time in Balochistan, a government sworn in after a smooth transition of power. The previous government in Balochistan was the first government which completed its term. Prior to that, no government was able to complete its constitutionally mandated term of five years. 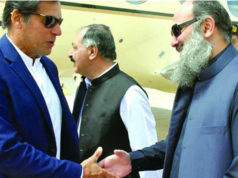 Incumbent Balochistan government has faced ups and downs and the province has third Chief Minister (CM) in office in last four and half years. Balochistan government has been under scrutiny since it took office in June 2013. Agha Hassan Baloch, the spokesman of Balochistan National Party (BNP), criticized Balochistan government for corruption, nepotism, good governance. He told Balochistan Voices “Balochistan Government did nothing for core issues of Balochistan including CPEC.” He added that Balochistan government failed to recruit people on 32,000 vacancies at a time when Balochistan is facing chronic unemployment. He also highlighted the failure of government in terms of resolving the water crisis in Gwadar. Balochistan Voices carried out an analysis of the performance of Balochistan government from June 2013 to December 2017. For this story the Balochistan Government is considered the coalition government of PML-N, PKMAP and NP where Dr. Malik Baloch and Nawab Sanaullah Zehri served as Chief Ministers. Balochistan is undergoing a low scale insurgency since 2005 and sectarian violence since 2003. Law and order has been a serious problem in Balochistan for more than a decade. Improving the law and order is considered to be a barometer for success of the government in Balochistan. According to the data of bomb blasts provided by South Asian Terrorism Portal, 786 people lost their lives in 288 blasts during the time when the current government was in power. Analysis of the yearly bomb blasts data show that 2015 was a year of relative peace in Balochistan. After 2015 the law and order situation deteriorated, data shows. Analysis of the bomb blasts data shows that government of Balochistan could not control the bomb blasts in Balochistan which are at the level in 2017 as they were in 2016. Sarfraz Bugti, Provincial Minister of Home and Tribal Affairs, believes that criticism on the provincial government for failing to control the number of bomb blasts is unfair. 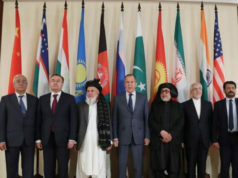 He said “Till the safe haven of terrorists prevail in Afghanistan, the menace of terrorism shall continue to plague Balochistan.” He argued that Terrorism cannot be eliminated in a day through a magic stick. Balochistan is most under-developed province of Pakistan and has greater development needs. The development initiatives in the form of mega projects can be another barometer for determining the success of Balochistan government. Quetta, the capital city, has facing water shortage and in order to resolve this problem different projects are envisaged. One such project was Mangi Dam which is situated in 85 Km North of Quetta. This proposed Dam would irrigate 30,000 acres of Land and provide 8.1 Million gallons of water on daily basis. This project was on the shelf since June 2013 when current Balochistan government took power. It took this government four years to carry out the groundbreaking of Mangi Dam in August 2017. 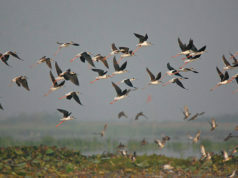 Government was criticized by the opposition for delay in the project which will now take three years to complete. In June 2016, Balochistan Government came up with the ambitious project of Quetta Water Supply. This project envisaged pumping water to Quetta from Pat Feeder Canal which is 400 KM away. Questions were raised on the technical feasibility of this project. Dawood Barech, former Additional Chief Secretary of Planning and Development admitted in a pre-budget seminar in June 2016 that feasibility report of Quetta Water Supply Project was not prepared before it was made part of the annual development program. The government allocated Rs. 10 Billion for this project for two years and not a single penny was spent on the project. An official in Planning and Development Department on condition of anonymity told Balochistan Voices that this project has been shelved given its ambitious nature. Furthermore, the analysis of development spending of Balochistan reveals that Balochistan government has spent more on infrastructure, like roads and bridges, at the expense of social services, like health and education. This strategy has failed to reduce, or even control the spread, of poverty, as revealed by multidimensional poverty report 2016. Primary purpose of Balochistan Assembly is to make laws by doing legislation. The need for legislation has increased in the aftermath of the 18th amendment where over a dozen federal subjects were devolved to provinces. During the period 2013-17 Balochistan assembly passed 36 pieces of legislation. In year 2014 and 2015 significant number of laws were passed but in 2013, 2016 and 2017 the legislation activity of Balochistan assembly was not significant. During this period, Balochistan Assembly passed few bills which were appreciated by all quarters. The Balochistan Persons with Disability Act, 2017 empowered Persons with Disability with legal protection and it was demand of organizations working for rights of Persons with Disability for long time. Likewise, government also earned praise for Balochistan Women Protection Act 2016 and The Balochistan Commission on the Status of Women Act, 2017. Both of these legislations empowered women and provided legal cover to their rights. Moreover, Balochistan government was severely criticized for The Balochistan Private Educational Institute Registration and. Regulation Authority Act, 2015. Civil society organizations and private school associations carried out multiple protests against this law which made Balochistan Education Foundation (BEF), a semi-government development organization, regulatory body for private schools. First Balochistan government announced to roll back this legislation but later it backtracked and this law is still in place amid criticism. The announcement of Education emergency in January 2014 and subsequent increase in education budget was the biggest success story for which Balochistan government took credit. Balochistan government significantly increased education budget in 2013-14, 2014-15 and 2015-16 but there was cut in education budget the for the next two budgets. Data Journalism story of Balochistan Voices concluded that increasing Education Budget was not the solution of educational problem in Balochistan. The story further concluded that lack of efficiency and accountability of education spending were major problems. 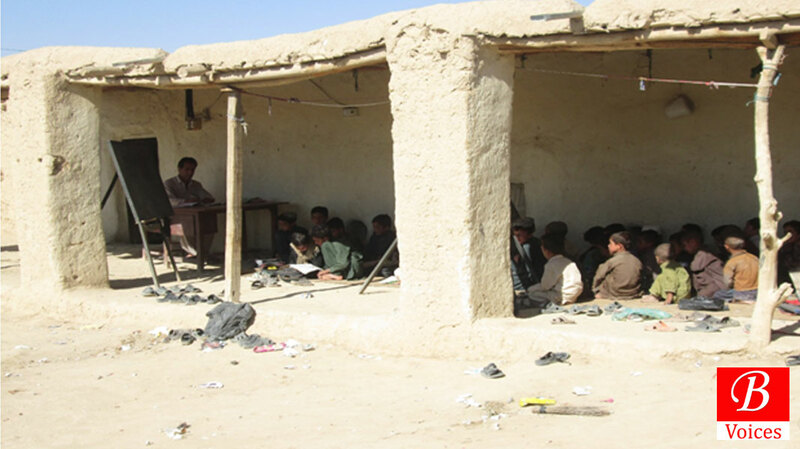 Likewise, analysis of the education budget of Balochistan proved that Balochistan government could not spend one-third of education development. This means that Balochistan government could not bring the required improvements in education due to not spending budget and efficiency problems. Noor ul Haq Baloch, Secretary Education Balochistan, did not agree with the criticism of aforementioned report on education of Balochistan. He told Balochistan Voices that although the education system in Balochistan has some problems but the report does not agree with ground realities. Anwaar ul Haq Kakar, who served as spokesperson of Balochistan Government before being elected as Senator on 3rd March, said that despite terrorist attacks and mounting problems, the resolve of government to deliver is strong. 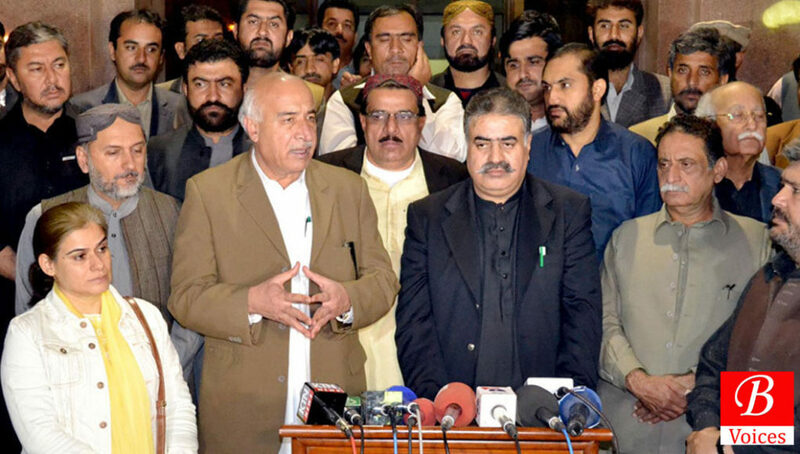 Shahzada Zulfiqar, a senior analyst, said that Dr. Malik Baloch adopted some measures for reforms but failed due to an unsupportive coalition government and Zehri government was totally ineffective. “Only major reform attempt was education emergency but it also failed due to political interference,” added Zulfiqar.